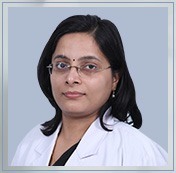 She is the recipient of prestigious Hari Om Ashram award 2015 by Indian society of Gastroenterology. International scholarship by United European Gastroenterology organization for UEGW 2014. Presented paper at international Disease Digestive forum 2014, Hongkong. Presented paper in UEGW 2013 at Berlin Germany on “Role of endoscopic ultrasound ( EUS ) in children: A large single centre experience”. Does It Hold true for acute viral hepatitis induced ALF?”in National Pediatric Gastroenterolgy conference at Mumbai, India in 2008.